Bathroom vanity tops with sinks always have a strong bond in bathroom remodeling process. In this article I would like to write about the bathroom vanity tops with sinks as style, material and shape selection. Some design styles are also discussed. 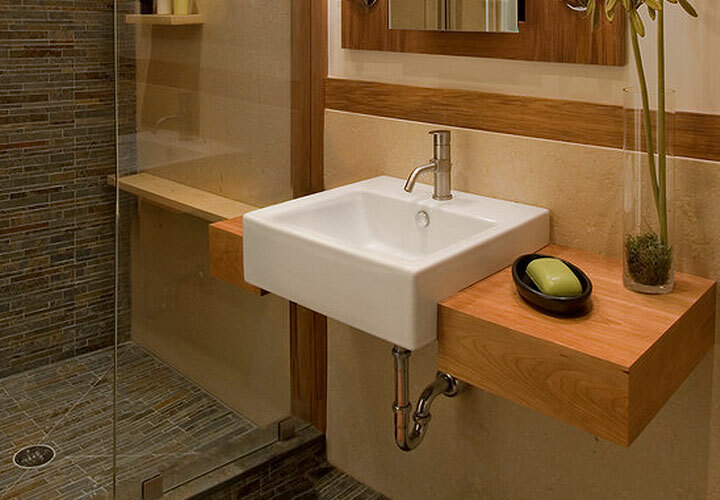 Bathroom vanity ideas can be divided into vanity top and sink. Faucets have a chance to match with those two as style. Bathroom vanity is always the most used area in your bathroom. 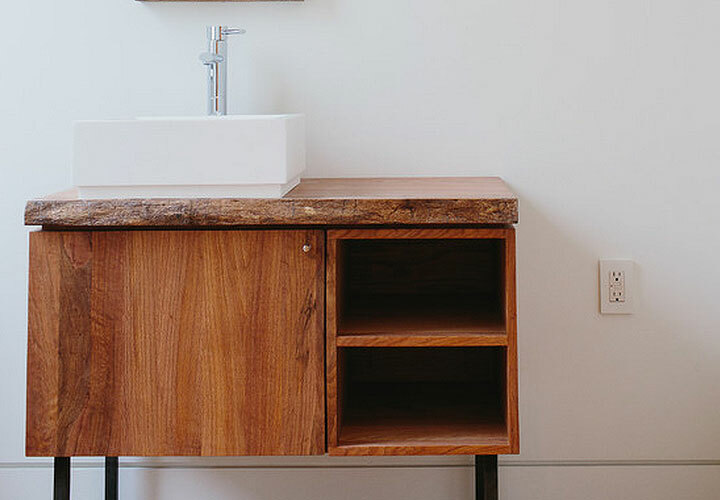 There might be some options depend on the bathroom size to have a vanity top without sink. This kind of vanity can be called a powder room vanity. · Vessel sinks stand on top of vanity cabinet that has a modern look on the original bowl and pitcher. · Under mounted sink shows the vanity top in better way, both modern and traditional designs have a folder for it in their hand. Also cleaning of under mounted sinks are easy since there is no lip to catch the debris. 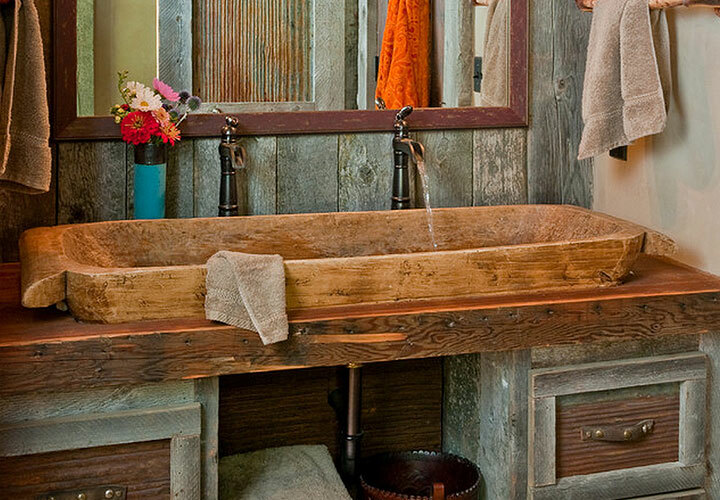 Picture Credit: Highline Partners Ltd. Rustic vanity. Even it has been made of wood, it has been coated by wax three times. Such an artisan piece . Great job. There are various sink materials all up to imagination. But some materials take up the most room in your vision when you are in bathroom vanity picking. These are, porcelain and glass. Porcelain and glass are resisting spills, scrapes, and other mishaps. Vitreous china is actually old – fashioned porcelain and is still popular in bathroom vanity tops with sink. Of course, triangular and pentagonal or octagonal shapes are not valid in bathroom vanity tops with sinks ideas. The most recent fashion sink shapes are oval and rectangular in these days. Round and square are less fashionable. Picture Credit:Gardner Mohr Architects LLC. Minimalistic approach to modern design of bathroom sink. The whole picture is very inviting . Splendid bathroom . 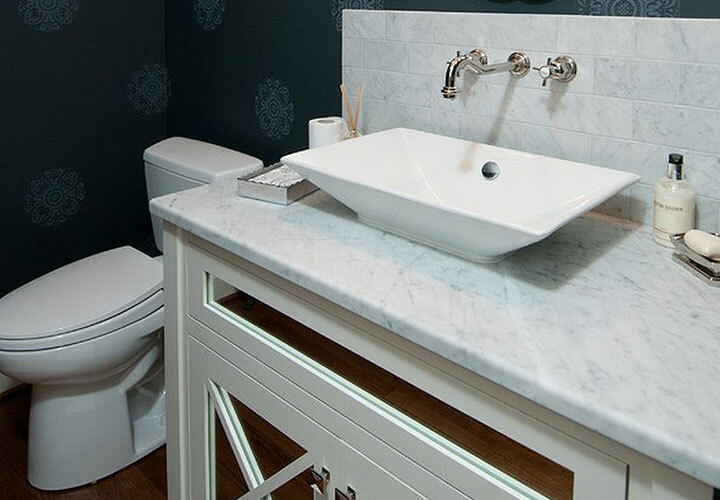 Granite and marble, Corian and cultured marble are the best materials for your bathroom vanity tops with sinks ideas. Please read my kitchen countertop articles. I can add something about the cultured marble that is not completely synthetic. Moreover, it consists of real natural marble dust. The dust is combined with liquid polyester resin to create the cultured marble vanity top. Cultured marble can also be purchased for your sinks, bathtubs, shower basins, and backsplashes. There are three main design styles in bathroom vanity tops with sink to be discussed and to be fitted to your house. 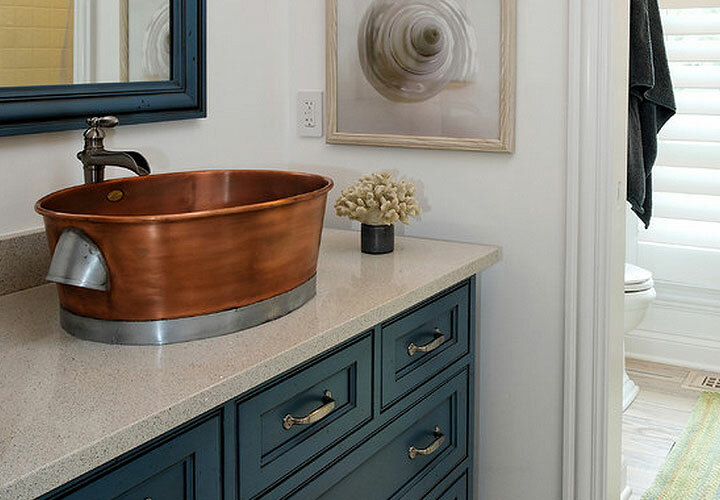 · Traditional Style: If you like the European effluence (traditional style) in your bathroom vanity , you should go for elegant sinks, faucets, and knobs. Granite countertops are always a fantastic choice for this type of vanity, as they are beautiful and extremely sturdy. · Modern Style: Here we can see the vanity that is sleek and minimalist, featuring smooth curved or straight lines. These are the best for smaller bathrooms or if you are seeking for a stylish bathroom. The rustic design style is usually combined with modern style in bathroom vanity tops with sinks ideas. To give this feeling, modern bathroom using a wooden countertop and a black faucet. · Contemporary Style: This design is similar to modern style in that they are sleek, minimal, and use clean lines. Typically using new materials of all one color or contrasting colors instead of fusion of the colors.